We realise the importance PE teachers can have on key groups of students through the many cross curricular projects the department has delivered. 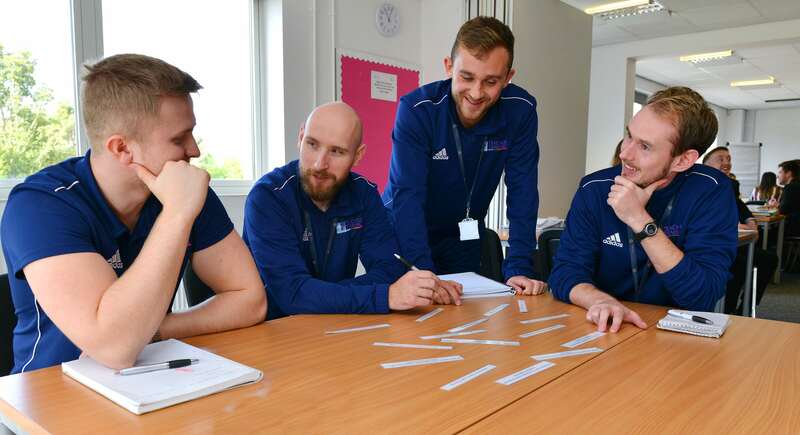 PE teachers have a unique relationship with students and it is this relationship that we would like to harness in order to maximise the impact a PE teacher can have across a school. It is also fundamentally important that we train outstanding teachers in shortage subject areas and we therefore provide the opportunity to train to teach in a combination of two subjects; PE and a second subject specialism in an EBacc Subject. These trainee teachers will go on to gain NQT jobs in PE, their second subject specialism, or a combination of the two. Following the success of our Secondary PE with Maths or Biology programme, we feel that this model will be highly appealing to Head Teachers, who would be able to deploy the NQT to fill shortages within their departments as well as being part of the PE team. To develop outstanding PE Practitioners capable of outstanding teaching and learning. To develop PE teachers with a well-rounded subject knowledge allowing them to feel confident to teach all areas of the PE National Curriculum. To ensure this outstanding teaching and learning is transferred to other shortage subject areas allowing them to develop subject knowledge. To develop future PE/Sport leaders. The programme starts with an intensive ‘Summer School’ during August 2019. The programme will consist of school-based training and centre-based training days. You will train across at least two school placements. Centre Based Learning – session based activities delivered at Ashton on Mersey School or Masters Level study at Manchester Metropolitan University. It is really important to us that these four learning areas fit together to ensure a cohesive and progressive programme of study. In order to be eligible, candidates must have at least grade C in the A level in the EBacc subject.